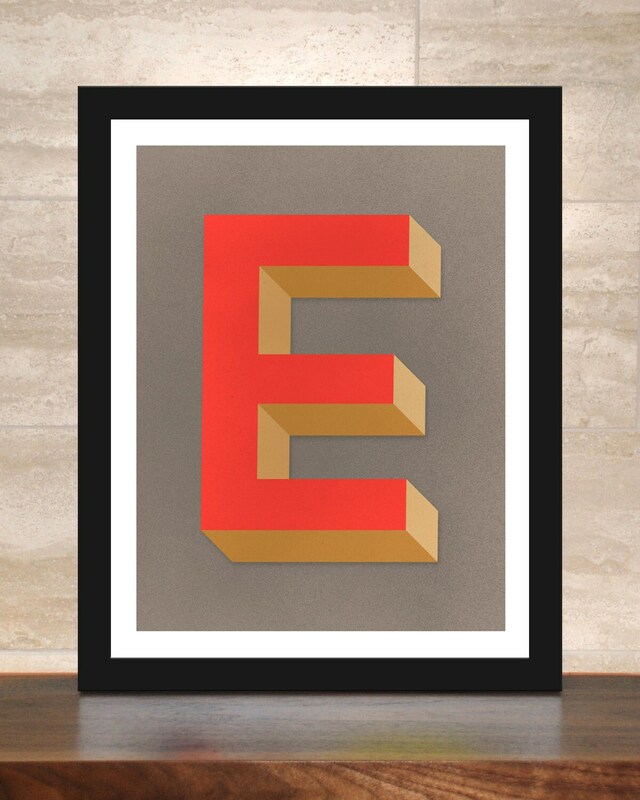 E is for...Eli, Edie, Eric, Edward, Elizabeth... 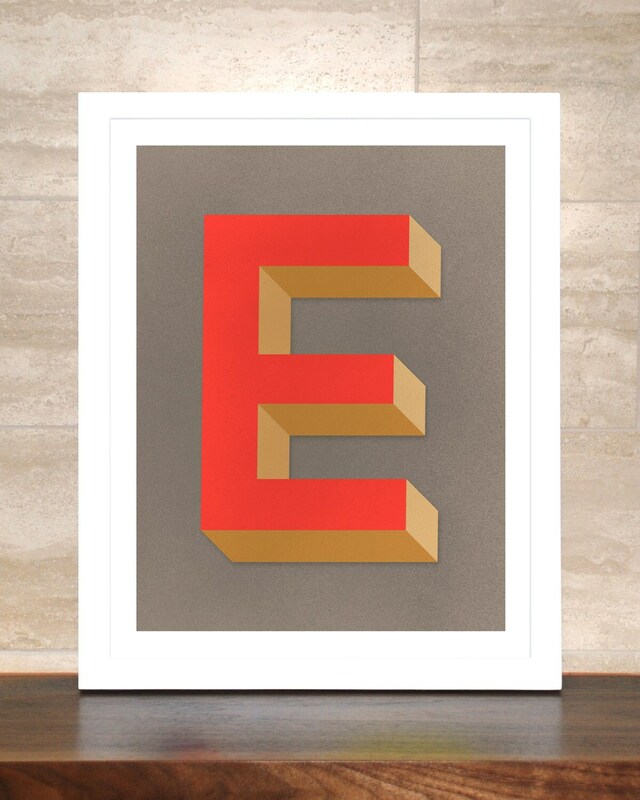 The Letter E is printed in red orange and shades of antique gold on a warm gray background. 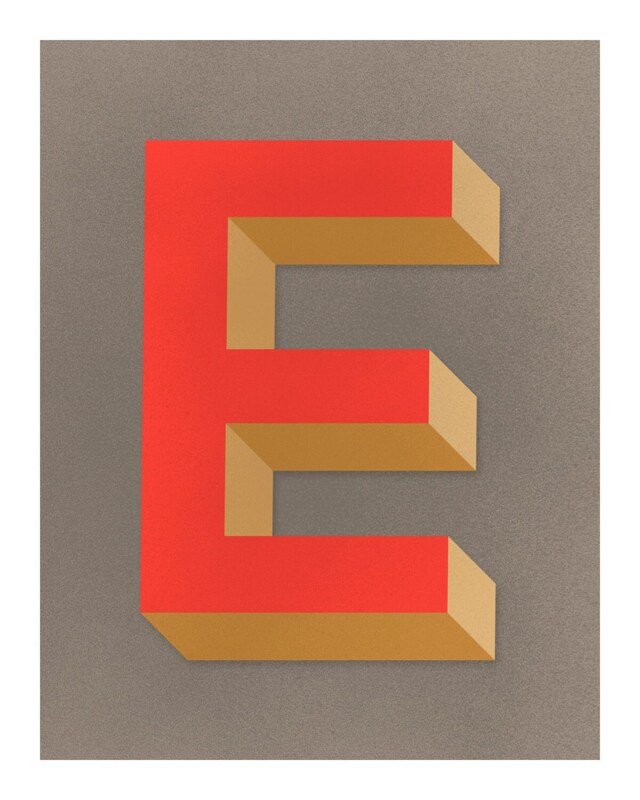 Light digital "distressing" has been added to give the print a worn, vintage look.